Becel is an excellent margarine which does not seem to be available in the States. Of course butter could always be used for this recipe. I remember writing the other day that I didn’t use substitute products the other day, well Becel is an exception because it is excellent and, of course, spreads straight from the fridge. In a small bowl, stir Becel® Light margarine with horseradish, Dijon and 2 tbsp. (30 mL) thinly snipped chives until blended. Thinly slice baguette. Spread about ½ tsp. (2 mL) Becel® mixture over each slice of baguette. Step 2 Cut roast beef slices slightly larger than baguette slices. Ruffle to fit on baguette. Cut some of the remaining chives into 2-inch (5-cm) lengths. For a garnish, place on roast beef in an X pattern, then grind pepper over top. Tip Becel® Light margarine mixture can be made several days in advance, but stir in chives just before spreading on bread. As you know, we love to watch Jeopardy. We are particularly enjoying the programme at the moment as there is a Champion, Julia Collins, who has now beaten everyone, other than Ken Jennings (74 games), with the amount of programmes she has won 19 at the time of writing. She has also picked up $410,000 odd in this time frame which the American government will be delighted to tax her on. To me this is totally wrong. Neither Canada nor Britain tax you on winnings, I don’t think the States should either. Of course you know the government will listen to me. Matt and I are both rooting for her. Chatting to people at the bowling alley and we all agreed that the Canadian government shouldn’t tax pensions. When you think about it, we work all our lives, pay taxes in order to provide some of the money for pensions and then they turn round and tax us again. Meanwhile politicians get pensions which make ours look like chump change, and don’t talk to me about sports people. I read that skin cancer is on the rise in Canada because people are either too lazy or not sensible enough to use sun tan lotio ns. Skin cancer melanomas can kill and people are stupid to take the risk. That being said, Matt has had skin cancer and was told never to sunbathe without lotions, guess what, he takes no notice whatsoever. Generally they are saying vanity and a blasé attitude are behind the rise as well as the fact that we bare more skin than previous generations. I am lucky because I use various creams every day which all contain an SPF factor. Also in my opinion a lot of people stay in the sun too long as well. We do tan in short bursts, about half an hour at the beginning and then a bit longer as our tans build up. Not that we ever spend very long any more. Kind of get less interested in sunbathing when you get older, or we did. Another goodie. Think I would be more generous with the asparagus, but then that’s me. Easy to prepare appetizer of roast beef and asparagus rolled in a tortilla with a creamy spread. 4 each Tortilla, flour, 6.5"
Using electric beaters, whip cream until soft peaks are formed; gently fold in sour cream, horseradish, lemon peel, salt, and pepper. Spoon 2 teaspoons of cream mixture onto each tortilla and top with 1 slice of beef and the rest of the cream mixture. Arrange 1 asparagus on each tortilla and roll up. Cover with plastic wrap and chill for at least 2 hours. Cut into 1/2 inch pieces. I had to go see the nurse at the specialist’s office, been having hypertension problems. She has just been on a fabulous two week trip to Europe which included London, Paris, Marseille, Nice, Florence, Venice and other Italian places with which I was unfamiliar. Sounds a wonderful experience to me. Her boyfriend is from that part of the world and they spent time with his family which she really enjoyed. In fact she enjoyed all of it very much, but she missed her parents!!! A great European trip like that and “she missed her parents”. She’s a young woman living away from home (with the boyfriend I think) and she goes on a trip I, and many others, would love and her final comment is about missing parents. Sorry, I don’t get it. Nor, I might add, did anyone at the bowling alley when I told them about it. The first thing one of the Alley owners said to me yesterday afternoon was “have you seen the Record?” We hadn’t so he showed me an article about Barrie’s Asparagus and was surprised when I immediately said “Oh, that’s Tim”. Jim Witmer, was also surprised at all the things Barrie’s sell made with asparagus, in particular their soap which is a new product. They have pickled asparagus and asparagus barbecue sauce, too. Or asparagus ravioli and asparagus soap. Or asparagus salsa. A fresh batch of that salsa, bottled with a day of picking, is firehouse hot. Never tried it myself. I do like their pickled asparagus and have never tried making it because I don’t have the equipment. Do read the article. At the end he mentions Hershey, the dog, who greets everyone as they arrive. She is getting pretty old these days and every year I am surprised she is still there. Never thought about bringing her some liver treats. This is another recipe from Food and Wine. I love all the major ingredients in this recipe so I think it should be pretty good. Crabmeat and asparagus is a match made in heaven. This recipe is also fantastic, however, without any crab at all. Leave it out and serve the risotto as a side dish or as a first course at a springtime dinner party. Every so often I get an email from my library telling me of books they have recently received and are recommending. I just got a couple of them (my TBR is only 520 books). The first one I have just finished The Firebird by Susanna Kearsley. It is the tale of a young woman, Nicola, who has psychic abilities which she refuses to recognise – her job is in the art world. A Scotswoman is trying to sell an ornament of a firebird which was purported to have been given to an ancestor by the Czarina Catherine of Russia. There is no provenance but when Nicola touches the Firebird she knows that it is true and ends up setting out to prove the truth in a way that would be acceptable to those who don’t recognise psychic abilities. We end up with a story of Nicola in today’s world and Anna the ancestor who owned the Firebird, living in the 18th century. The background is strongly historical about the Jacobites of Scotland and how many of them ended up in Russia. It is a very interesting story and I enjoyed it very much. Tuesday has been a very quiet day and apart from a news headline about a newborn baby being abducted from the hospital creche and immediately found by a couple of young girls, I haven’t much to write about. One thing I did do, I blanched and froze a large bunch of asparagus. I enjoyed the ones I did last year so decided to do more. I might do another bunch before the season is over. Here’s a somewhat different recipe from Food and Wine. Bring 1 inch of water to a boil in a large nonreactive skillet. Add the asparagus and cook just until tender and bright green, about 3 minutes. Drain and pat dry. Wipe out these skillet and set it over high heat. Add the oil and heat. Add the almonds and cook, stirring, for 30 seconds. Add the asparagus and garlic and season with salt and pepper. Cook, stirring often, until the garlic and almonds are golden and the asparagus is just beginning to brown, about 4 minutes. Stir in the sherry vinegar and butter and season with salt and pepper. Transfer to a platter and serve. This is, without doubt, the most incredible spectacle. I hope this is going to work. It was on Facebook this morning and I just had to post it here to share. The origin was from National Geographic and was shown by PetFlow. If you aren't blown away by this video, I will be surprised. Monday afternoon we went to Barrie’s Asparagus farm to replenish our supply. I had a chat to Tim Barrie about the asparagus I was given last week, and learnt a few things like how they grow asparagus with cover in order to avoid grit in the spears. Plus the different ways of marketing – Tim supplies a lot of restaurants and caterers whereas other farms supply stores and farm shops so they don’t take so much care apparently. Whilst there I bought some honey as I was almost out. I haven’t had raw honey in years, we both had some at supper time, it was delicious. Not expensive either. Monday evening, sitting watching TV with the balcony door open and on screen, I could hear lots of bangs. Turned out there were several June Bugs hanging on to the screen door. Not seen so many for a long time. This recipe came from Food and Wine. Good News Cashews contain oleic acid, the same monounsaturated fat that makes olive oil so heart-healthy. This chicken-cashew stir-fry is a lighter take on a dish that Stéphane Vivier orders at Rin's Thai in Sonoma, California. Its Asian flavors come from a bright mix of fish sauce, oyster sauce and basil—and just a little oil. Preheat the oven to 350°. Spread the cashews in a pie plate and toast in the oven for about 8 minutes, until they are nicely browned and fragrant. Let cool. In a medium bowl, toss the chicken with 1 tablespoon of the fish sauce. In a wok or large skillet, heat the oil until shimmering. Add the chicken in an even layer and cook over high heat, turning once, until browned and just cooked throughout, about 4 minutes. Using a slotted spoon, transfer the chicken to a clean bowl. Pour the chicken stock into the wok and bring to a simmer, scraping up any browned bits. Add the asparagus slices, cover and cook over moderate heat until they are crisp-tender, about 3 minutes. Using a slotted spoon, transfer the asparagus to the bowl along with the chicken. Add the remaining 1 tablespoon of fish sauce to the wok along with the oyster sauce, lime juice and cayenne pepper. Simmer until the sauce is reduced to 1/3 cup, about 2 minutes. Return the chicken pieces and sliced asparagus to the wok and toss to heat through. Remove the wok from the heat and stir in the cashews, basil and chives. Season the stir-fry with black pepper and serve right away. Notes One Serving 369 cal, 17 gm fat, 2.8 gm sat fat, 9 gm carb, 2.4 gm fiber. Serve With Steamed rice. Saturday I watched Saving Mr. Banks which I rented from iTunes. I am now considering buying it. I thought Emma Thompson and Tom Hanks were brilliant. I was also fascinated to learn a little about Walt Disney too. As for P.L. Travers, I knew nothing about her and didn’t even realise there were Mary Poppins’ books prior to the movie being made. A lot of the story was P.L. Travers’ reflections about her childhood which was what formed the idea for her stories. I thought it was a wonderful movie and ended up in tears some of the scenes were so moving. Not being, like some of my blogging friends, a movie reviewer, I can’t break it down for you, but suffice to say I thoroughly enjoyed it and would recommend it to anyone. I thought P.L. Travers was a right itch with a b in front at the beginning. One thing I learnt from the movie, Mary Poppins didn’t come for the children. I had never realised that before. Now I need to see Mary Poppins again, I will view it with a new eye. Oh, I have also ordered a Mary Poppins book from the library to see what they are like. This picture came in an email from National Geographic. One knows goats climb but this is fantastic. Can you imagine being on a slope like this and even looking back to see what’s happening behind you. If you didn’t already have vertigo, I would think it would develop. This goat only has one hoof on anything at the back. It really is incredible how they do this. Personally I think I would need fresh laundry. This recipe came to me through Yummly and was posted at Smitten Kitchen. If you read the blog, you will find that it was based on a somewhat different recipe which she ate in a restaurant. However, this is her version and it looks delicious. She mentions red endive. Unfamiliar with that. I wonder if I can get it round here. If not radicchio might be a good substitute. 1 pound slender asparagus spears, trimmed, cut into 1- to 1 1/2-inch pieces (unless they are fresh from the farm). I love Lemon Curd but haven’t made it for years, it is a long process and makes too much, apart from the sugar content. However, I have just discovered this recipe which makes small amounts in the microwave so I will be off buying lemons as soon as I can. I found the recipe on Facebook and it comes from Kitchen Explorers. If you check the link there is also a recipe for a delicious looking lemon tart. Whisk together the sugar and egg until smooth in a microwave safe bowl. Gradually stir in the lemon juice, butter, and zest. Whisk all the ingredients until completely smooth and sauce like. Cook the mixture in the microwave for one minute, then in 45 second intervals. Make sure to stir well after each cooking period, remembering to scrape the sides well. Total cooking time should vary but shouldn’t be more than 3-4 cycles. The lemon curd is ready when it is thick enough to stick to the back of a spoon. Transfer the curd to a mason jar. Keep in mind the curd will thicken as it cools. Friday night we had the Baked Asparagus Fries and I had forgotten how very good they are. Do try them, they are absolutely delicious. This recipe could have been made for me, I love risotto, and with shrimp and asparagus what could be better? I have never heard of carnaroli rice. I would use aborio. This easy risotto is studded with delicate shrimp and pieces of plump asparagus, and delicately flavoured with saffron—it's a perfect, fresh-tasting spring dish. Cook the asparagus in salted boiling water until crisp-tender. Drain and cool under running water; cut into 1-inch pieces. Season the shrimp with salt and pepper. In a skillet, heat the oil. Add the shrimp and cook over moderately high heat, turning, until just white throughout, 3 minutes. Transfer to a plate. In a saucepan, bring 4 cups of water and the stock to a boil. Cover and keep warm. In a large saucepan, melt 4 tablespoons of the butter. Add the onion and cook over moderate heat, stirring, until softened, 5 minutes. Add the rice and cook, stirring, for 2 minutes. Add the wine and simmer until almost evaporated. Add enough stock to just cover the rice and cook, stirring, until the stock has been absorbed. Stir in the saffron and continue stirring in stock, 1/2 cup at a time, until nearly absorbed between additions. The risotto is done when the rice is al dente and suspended in a creamy sauce, 25 minutes. Stir in the cheese and remaining 2 tablespoons of butter. Fold in the asparagus and shrimp. Season with salt and pepper. Have a great weekend and for my US friends, Happy Memorial Day. Today I was christened The Queen of Asparagus by Hilary Melton-Butcher which I guess is kind of justified by the fact that I eat so much of it, in season, and also post so many recipes. Wednesday, one of the owners of the bowling alley asked if I had managed to obtain any asparagus yet, I assured him I had, he said he wondered because he passes an apple farm on the way to work which sells asparagus and he said he could get me some. Under those circumstances I asked him to pick some up for me as he passed the place anyway. Thursday we went in to the alley and he had about $15 worth as I requested, but he wouldn’t take a penny for it. So very nice of him. They are glad of the help I give them in forming the winter and summer leagues. Not a lot, but they obviously appreciate the little I do do, which is very nice. It is supposed to be locally grown, but not from Barrie’s – I didn’t know there was another asparagus farm in the area. Barrie’s is still the best. I started walking on my treadmill again this week, that was on Monday, on Tuesday I got a sore foot and had trouble walking all day, how typical. I will be trying again today, Friday. It has been fine bowling so it should be OK for walking on the treadmill again. I am not quite sure what was wrong but it seemed connected with my flip flops or thongs which, at present, I cannot wear. I can’t do a lot on the machine anyway, but every little helps. When I think how I used to walk 4 miles a day not so many years ago, it really annoys me but what can you do? The weather still isn’t much good here yet, the trees look lovely still, but the skies have been cloudy and sunshine we have not had. It’s not really cold but it’s not really warm either. It reminds me of a line out of the song June is Busting Out All Over from Carousel “a crowd of doubting Thomases was predicting that the summer’d never come”. I know it’s not June yet. Short Story, Bowling, Provincial Elections, Prince Charles. The Indie Writer’s Monthly is calling for short stories about time travel. I can’t write worth a damn, but today I thought of a pretty good story line. Very unusual for me. Anybody interested in hearing what it is? Let me know. Wednesday was a bowling day of course with another this afternoon. We are doing OK with two days in a row but it would have been better to have some time off in between. Can’t be done though. June 12 is Provincial election day. We often work it, I am not sure whether to volunteer this year or not. It makes for a very long day. Had one person call on us at our apartment. I didn’t know for several years that these campaigners were allowed to access apartment buildings, but apparently they are. I honestly can’t say I/we like that. It appears that Prince Charles expressed a political opinion about Vladimir Putin in a private conversation the other day. The operative word here being private. It is all over the British news, as well as in Canada. What is the matter with people. You don’t tell the world what someone said to you in private. There is a discussion about whether the royals should express political opinions. The Queen never does, but previous royals have apparently done so and Charles appears to be following in their footsteps rather than his mother’s. However, it seems that he likened Putin to Hitler. Bit explosive that. I wonder if he knew the person would leak his conversation anyway? This is a recipe I haven’t tried yet, I’m out of asparagus – quel horreur (sorry should be ¡Qué horror! trying to brush up my Spanish again). I shall be trying it pretty soon. I suspect it would only be really good with absolutely farm fresh asparagus. I love to eat spears of asparagus raw, they have a delicious flavour. I had never done so until a few years back when Tim Barrie just handed me a spear to chew on. I know (from Facebook) that a lot of his customers enjoy eating asparagus raw. Cooking, Women’s Open. The Elephant Man. Tuesday I most of the day cooking. We had potatoes left over from a dinner party, Matt mostly eats baking potatoes and I rarely eat them anyway. We also had some leeks wh ich I hadn’t used for anything and I asked Matt to get me my missing parmesan, some cream, a few more leeks and some more chicken stock. With all this in hand I made Potage Parmentier which is leek and tomato soup with cream. This has to be blended before the cream is added. I also made the asparagus pesto which has to go into the processor. This all takes heaps of dish washing and I do not have a dishwasher. I really miss having one. For supper we had a bowl of the soup and some pesto on toast. Delicious. Trouble is, after all this kitchen activity, my back was screaming at me, I finally gave in, took pain killers and stretched out. I do so love getting old, I used to enjoy cooking so much more before standing gave me backache.. After all the asparagus soup I made on the weekend our freezer is getting pretty well loaded but of course I am running out of asparagus for yours truly to eat. Serious situation. I also found some new recipes too, the ones below and an asparagus one of which I had seen a picture before, but not the recipe. Dunno how many of you follow golf, but an 11 yr. old, Lucy Li of California has qualified for the US Women’s Open in June. She is the youngest golfer to do so. Lucy hails from California – another golfer played at 10 yrs. old but there was no qualifier. The 11-year-old Li shot rounds of 74-68 on the par-72 Old Course on Monday. I am very impressed with her. Especially as we both were golfers at one time and had to quit. Matt still watches golf on TV. Tuesday night we watched The Elephant Man. I hadn't intended watching it as I saw it years ago. However, Matt wanted to see it again so I ended up watching it too. It really is an incredible story. What a dreadful life John Merrick lived prior to being found by the doctor, Frederick Treves. John Hurt really did a fantastic job of the part. Checking it out, apparently his name was Joseph Merrick not John. Not sure why they changed it. I also found out that John Merrick was never treated as badly as shown in the movie and once in the hospital lived a short but uneventful life. Oh Well. It's a good movie. When I saw these recipes they seemed so unusual to me that I couldn’t resist sharing them. They are originally from Cooking Light which is a great magazine. So today, you get two for the price of one. Yellow-red Mr. Stripey tomatoes give this ice a light hue. Use red or purple tomatoes if you want a darker granita, if you prefer. Mixing purple basil with deep-green Italian basil yields a nuanced flavor and a lovely garnish. 1. To prepare granita, place vinegar, oil, 1/4 teaspoon salt, and seeded peeled tomato in a blender or food processor; process until smooth. Place tomato mixture in an 8-inch square baking dish; cover and freeze until firm, stirring twice during first 2 hours. Remove mixture from freezer; scrape entire mixture with a fork until fluffy. 2. To prepare salad, arrange tomato slices on a platter. Sprinkle tomatoes with pepper and 1/4 teaspoon salt. Top with granita. Sprinkle with basil. Here’s another one, very unusual. Drizzle tomatoes with remaining 1 tablespoon oil; sprinkle with remaining 1/4 teaspoon salt and pepper. Top with tomato skins and arugula. As long as I can remember, and I assure you that’s a pretty long time, people have been talking a load of guff about dieting; what food is good for you, cut out fat because it’s bad for the heart and so on and so on. I see they are now beginning to say that some of these low fat products are actually making people feel hungrier so they eat more and put on weight. They are also now saying eating 2 meals a day is good for diabetics and dieters. Personally, I believe in eating sensibly, NOT using synthetic or low fat anything, and moderating what you do eat. Most of these low fat foods taste disgusting anyway. If ever I needed proof, for the last 17 months I have been eating more or less what I want of sensible, properly prepared foods. I have restricted myself to 1200 calories a day as a general rule, but if I wanted to go to a Chinese restaurant I did so and didn’t count the calories, (not sure how you would at a Chinese buffet).. The same with dinner parties. The upshot of this is that I have lost 38 lbs with very little effort on my part. I am still sticking to the 1200 calories although I seem to have reached a plateau but that’s OK, my diabetes sugar readings are constantly where they should be and clothes I used to wear I can wear once more. I have friends who have had medical interventions in order to lose weight some of which cost a fair amount of money. They lost weight admittedly, but I am not sure how much of it has stayed off. a friend in the States had it done twice and the second time she nearly died. She is still overweight. Another friend had liposuction, she had to lie in bed for ever to get over it. Very dangerous if you gain the weight back. I think she is doing pretty well. I should also mention that, as most of you know, I bowl twice a week which is fairly good exercise. I also used FitDay.com to record everything I put in my mouth which I think is an excellent tool – no, I never tried to deceive myself. OK, I lied. I realised later that I do use Butter Buds and sweetener now and again. For those of you who know Gary Pennick and Penny, I sent him this cartoon today. They both liked it although apparently Penny says she is Gary’s owner. I have been making this recipe for years now, we love it . It keeps forever and is so easy to make, especially if you happen to have Parmesan cheese, which I didn’t. I was totally teed off with myself; I was all set to make this pesto on Monday morning. It makes a fabulous snack or a great hors d’oeuvres. I ended up making another batch of Asparagus soup. Should just about have enough for the winter now. Granny, Asparagus, Rhubarb and Trilliums. The oldest known Orca, Granny or J2, was spotted last week off the coast of British Columbia in the Strait of Georgia. The Orca is estimated to be 103 years old. Apparently her pod spends their summers in these waters and they were first spotted on May 9 this year. Each year they are anxious as to whether Granny will still be alive when the pod returns as Orcas don’t usually live quite so long, 60 to 90 years. Yesterday I went for a refill of asparagus. I have mentioned in previous years that there are lots of Trilliums along the roadside when we drive there. Today, finally, I took some pix with my android tablet. Matt thinks they aren’t very good, but then he is a camera buff. I guess they are not marvellous, but I have been meaning to take some for years ever since we found Barrie’s Asparagus Farm. I don’t remember what year that was, but it’s a fairly long time ago. I think the first one is rather pretty actually. Today is a holiday in Canada, Victoria Day. We have already had fireworks on Saturday and Sunday, no doubt there will be more official ones tonight. We forgot all about it until somebody mentioned it on the radio or TV. That’s one of the problems with being retired, holidays don’t mean much to us any more. This is what we had for dinner on Saturday night. It is an old fashioned recipe these days and yet it is one we both enjoy very much. Slice each steak horizontally to make two steaks. 1/4 cup mushroom caps, sliced. Melt butter in pan and sauté steaks til browned on both sides (1 minute) place on plates in warm oven. Add more butter to pan if required, add Worcester sauce, sauté mushrooms, onion, garlic til beginning to soften. Put steaks back into pan and cook to desired doneness. Add cream and seasoning together with mustard powder. Pour brandy into edge of pan, ignite and swirl to spread flames. Once flames have died serve. Pouring the sauce over the steaks. On May 6 I posted a recipe for Norwegian Style Oven Toasted Salmon or something similar. We tried it on Friday night and were very disappointed. I don't know if anyone else tried the recipe and if so, what they thought of it. Bobby Flay's tender, peppery biscuits are incredibly good on their own, but do as Bobby Flay does and serve them with his richly flavored molasses butter. MAKE THE BOURBON-MOLASSES BUTTER In a small saucepan, whisk the molasses with the bourbon and cinnamon. Bring just to a boil, then cook over low heat for 2 minutes. Let cool completely. MAKE THE BISCUITS Preheat the oven to 450° and line a baking sheet with parchment. In a large bowl, whisk the flour with the baking powder, salt, 1 1/2 teaspoons of pepper and baking soda. Scatter the cubed butter over the dry ingredients and, using your fingers, pinch the butter into the flour to form small sheets of butter, with some of the butter about the size of peas. Stir in the 2 cups of buttermilk just until a dry, shaggy dough forms. Make Ahead The bourbon-molasses butter can be refrigerated for up to 1 week. Bring to room temperature before serving. Have a great weekend and if you are in Canada, enjoy your Victoria Day Holiday. The do sing more classical stuff and more popular songs as well. I hope you enjoy this rendition of a well known song. Thursday afternoon we went bowling, had a fun time, just the two of us, bowled one good game each and one really lousy game each. We also helped choose the new carpet they will be installing in August. They are spending quite a bit of money. There are alleys both down and upstairs. Also, in August, the alleys have to be ground and polished (I think that’s what happens). They are also installing new sinks and vanities, particularly in the ladies upstairs where apparently somebody dropped a balling bowl in the sink and cracked it. They aren’t that heavy, but heavy enough to do that I gather. 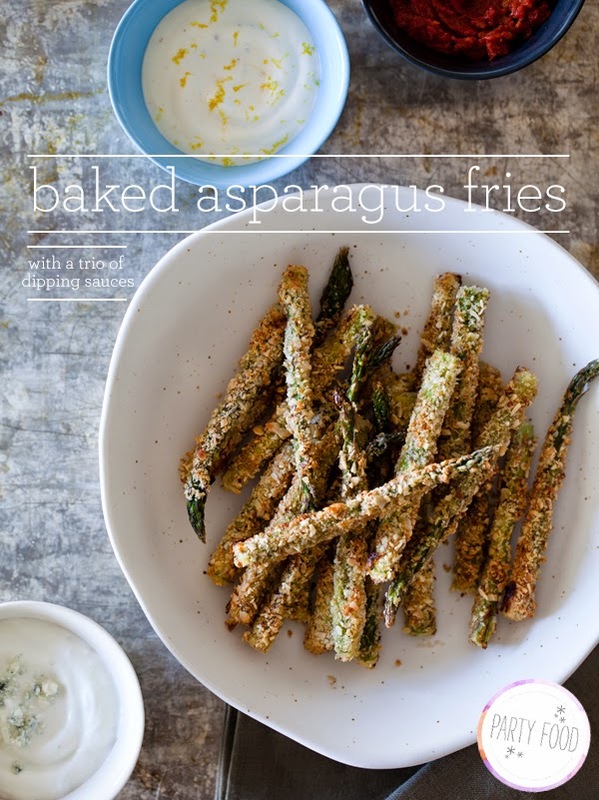 For those of you who are already sick of my asparagus recipes, here is a change of pace for you. However, asparagus will be featured again very soon. Quintessential Greek flavors—feta, lemon and dill—combine perfectly in this hearty salad. To complete the Mediterranean mood, try pairing it with a Greek Retsina or a Portuguese Vinho Verde. Giant Planet, The News, Bowling. Cinco de Mayo, Spanish, Chinese Lunch.